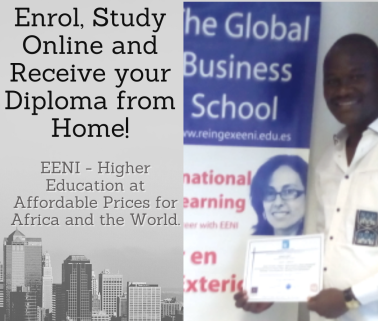 Syllabus of the Online Course (Subject): Economic Relationships between Africa and India. 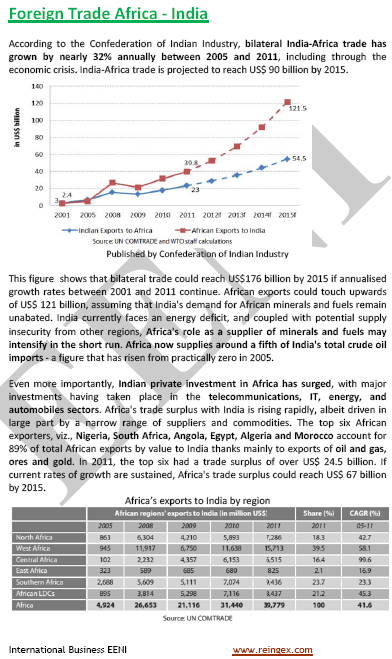 India-Africa bilateral trade has grown by nearly 32% annually between 2005 and 2011, despite the economic crisis. 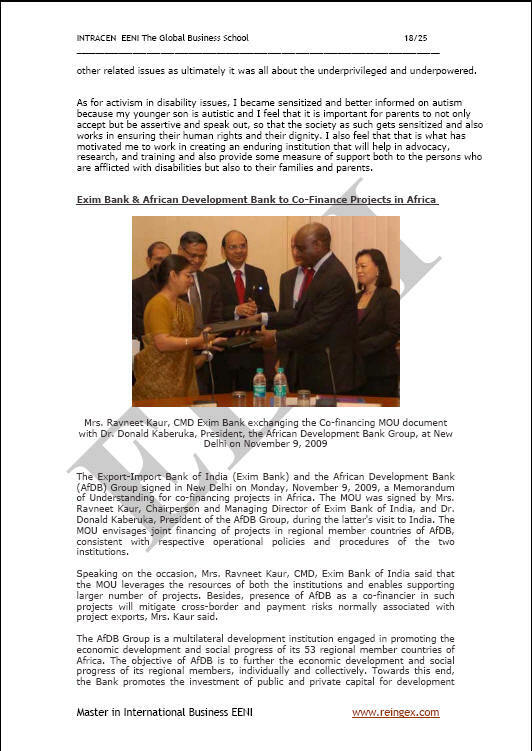 As a conducive and supportive international economic environment is crucial for Africa and India in their pursuit for a reciprocally profitable economic development, India and Africa recognise the need to promote such environment by reinforcing efforts to promote among them, international trade and industry, Foreign direct investment, Small and Medium Enterprises development and regional integration in Africa. Africa and India (BRICS Country) recognise the need to expand foreign trade, greater market access, and foreign direct investment facilitation. To reinforce the trade relations existing between Africa and India, and share benefits from the rich historical background as well as the natural resources of both Africa and India. The Africa-India Forum Summit would create an opportunity to give a new dimension to the Africa-India Cooperation through an Action Plan and Declaration to be adopted at the Summit in New-Delhi and Addis Ababa. The Africa-India Forum members are India, Algeria, Angola, Benin, Botswana, Burundi, Cameroon, Cape Verde, the Central African Republic, the Comoros, Congo, the Democratic Republic of the Congo, Djibouti, Ivory Coast, the Arab Republic of Egypt, Eritrea, Ethiopia, Gabon, Ghana, Guinea, Equatorial Guinea, Guinea - Bissau, Kenya, Lesotho, Liberia, Libya, Madagascar, Malawi, Mali, Morocco, Mauritania, Mauritius, Mozambique, Namibia, Niger, Nigeria, Uganda, Rwanda, Senegal, the Seychelles, Sierra Leone, Somalia, Sudan, Tanzania, Chad, Togo, Tunisia, South Africa, Zambia, and Zimbabwe.